Folks, I’m still alive, just terribly busy with my dissertation. Anyway! 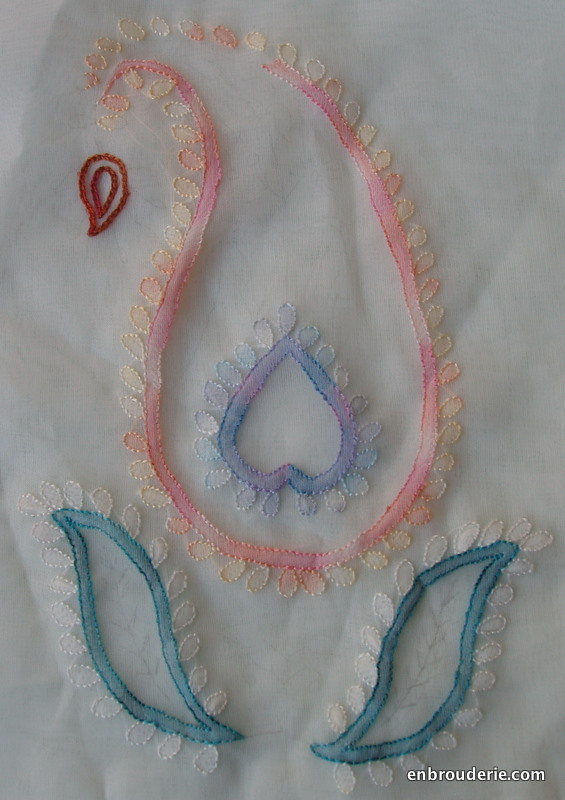 I have made some progress on Anita’s chikankari class and wanted to show you. Isn’t it pretty? I’m a little behind but I’m almost done with the outlining. 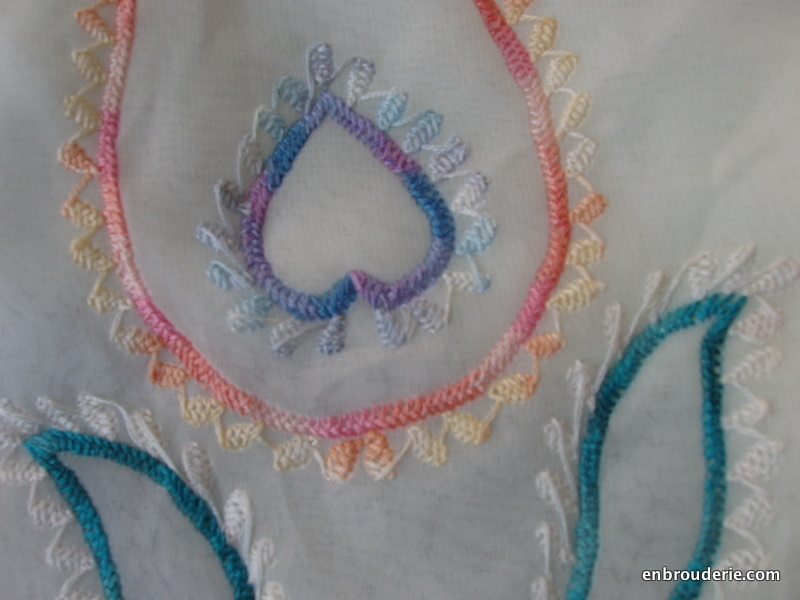 I’m loving the colors of the variegated threads. Here’s a closeup. And here is the back of the work – you can see the herringbone that produces the shadow effect on the front of the fabric. 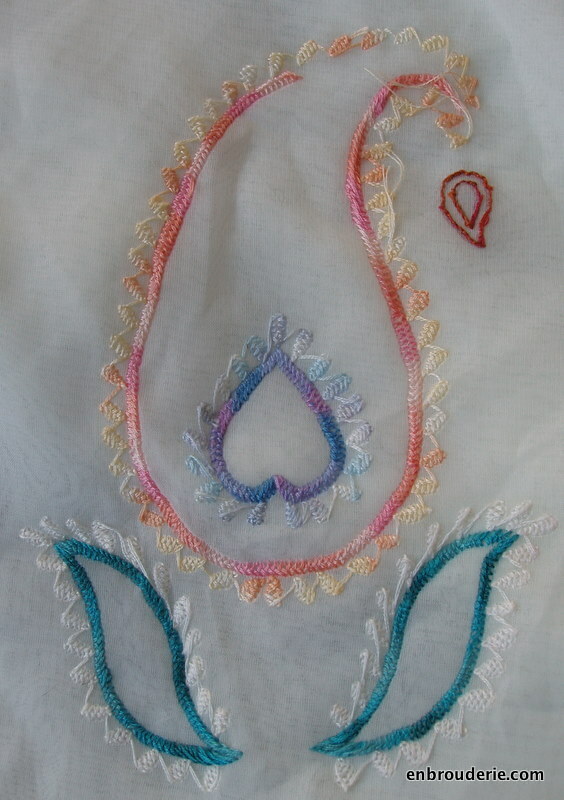 This entry was posted in Indian embroidery, My work and tagged chikan work, chikankari, embroidery, indian embroidery, shadow work. Bookmark the permalink. It’s beautiful Hannah! I love the peach variegated thread ,we don’t get that shade here 😦 .Your fabric choice is good.I wish I could take a photograph like you . Mine was a scan so I couldn’t show the shadow :(. glad you approve! i love your class! Good and continuing luck with your Dissertion. You’re making great progress – I hope with the dissertation work as well! Dissertation is going along, wish it were moving faster! I have to say your chikankari is really beautiful. And with the ones that I have purchased over the years, your work is so much better. I’m not as far along as you are, moving takes so much time, and now my son is doing his final exams for the year. So hopefully I will get back on track soon. 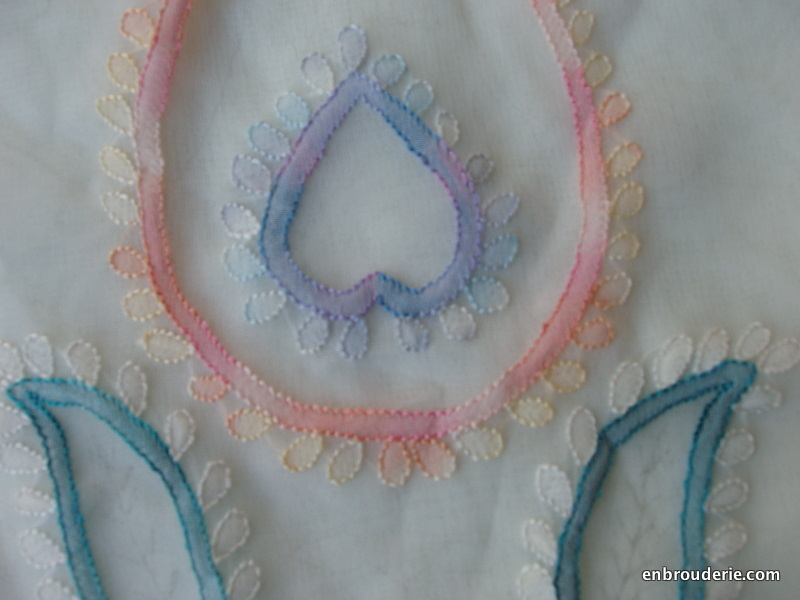 Wouldn’t it be so nice if we could just do embroidery all day? Very well done, and I love the peach and teal colors.